Willis Tower, formerly named Sears Tower, is a 110-story, 1451-foot (442 m) skyscraper in Chicago. 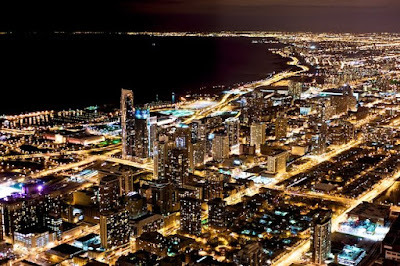 It was the tallest building in the world until 2000; and still remains the tallest building in the Western Hemisphere. After a splendid architectural tour on the Chicago Waters, we arrived at the Willis Towers. It was around 9.30PM. Glad that we had purchased the fast past ticket, so went straight to the elevator lobby, without any queue. The elevator ride itself was something to write about. A screen was showing off the floor#, how high off the ground we were, compared to other larger buildings in the world, and about history of the Sky deck. Of course, there were some butterflies in stomach and some dizziness over the ride. Yep, It is one of the fastest moving elevators in the world!...Within a minute, we heard “DING!” and the doors opened up at Story 103. Terrific views of the city and its amazing architecture just grabbed our eyes. We jumped all around the floor, pointing out the beauty of other buildings/places to each other that we just really want the other to see. It was Fantastic! Wow.. 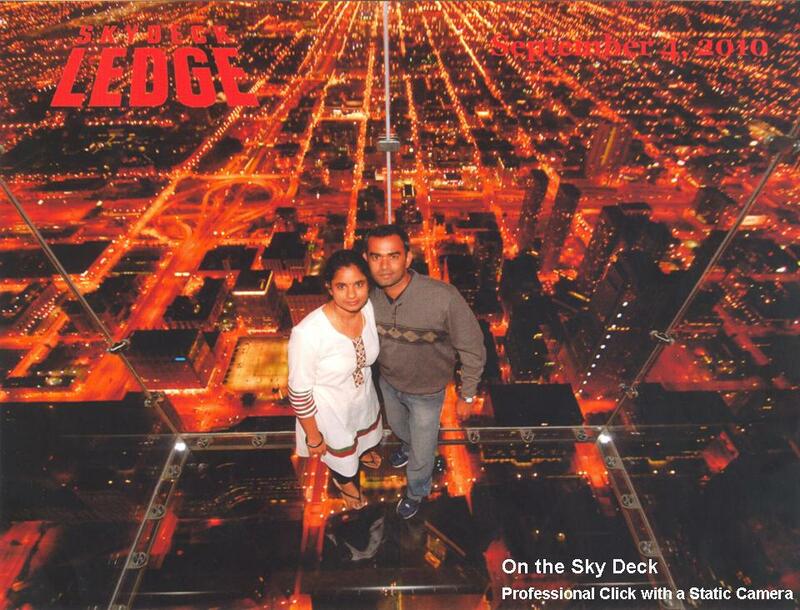 Finally, we were at the SkyDeck!!!. ALL GLASS - nothing but a plate of glass between me and a leap to death. We walked into the boxes(SkyDecks) and looked straight down to the ground. Over 1400 feet above ground, watching night birds flying beneath me… Oh man!! It’s an experience of life time! 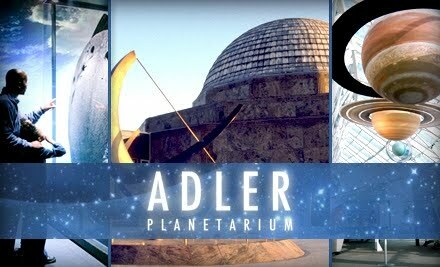 After we left the Field Museum, we headed down the street and entered Adler Planetarium. - America’s first planetarium. The Planetarium has tons of rockets and spacecrafts. Wide varieties of telescopes were displayed on Static and in theatrical shows. Great Moon mission is completely put on view. I was pleasantly surprised to see various displays incorporating meteorites and moon rocks. Our City Pass included 2 shows so we watched “Night Sky Live” and “Great observatories -3D Show”. “Night Sky Live” in the Sky Theater was spectacular and remarkable. 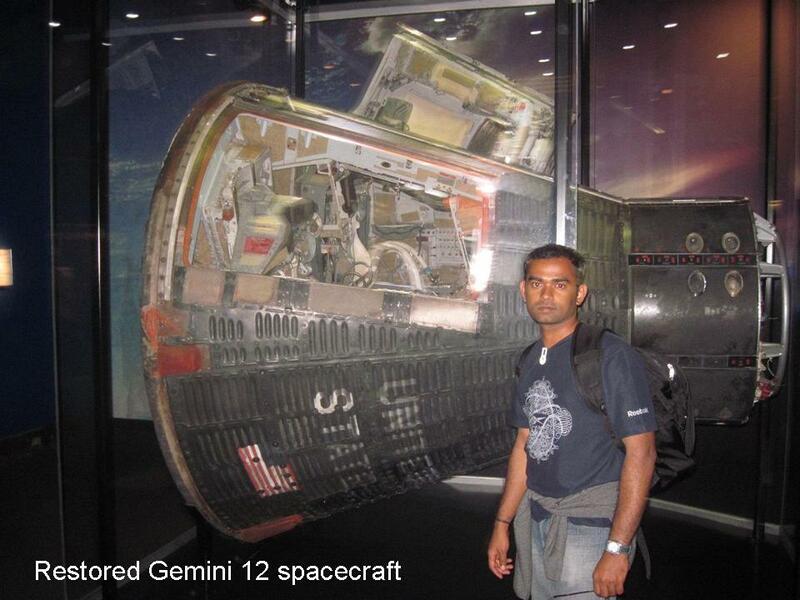 It was a virtual tour into the space through Stars, Planets and Galaxies. 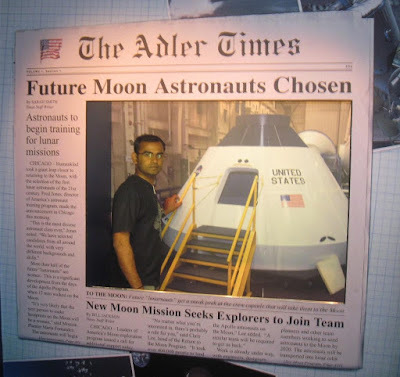 But, the Planetarium was not that impressive to me; feel like somewhat old one.They really need to upgrade upto current advancements. 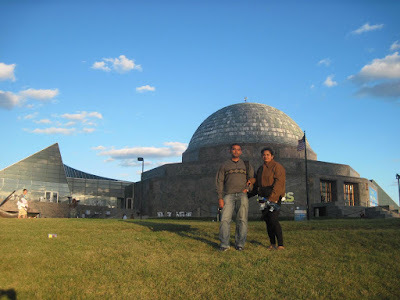 I think the outside of the planetarium – bay area of Lake Michigan is a nicer tourist attraction and place to hang out than the actual planetarium. The view outside on the Planetarium lawn and stairs of the lakefront was awesome. I can't believe we spent about 4.5 hours here! 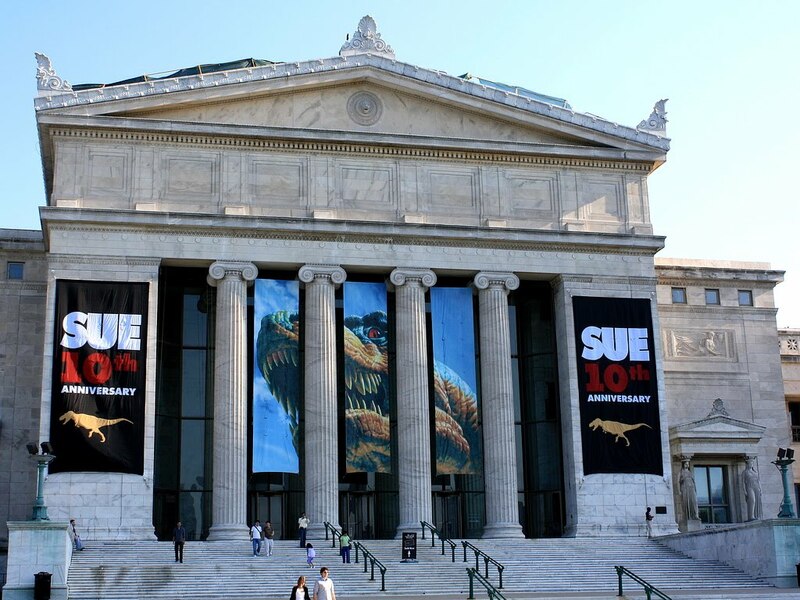 The museum is so huge, and brilliant. 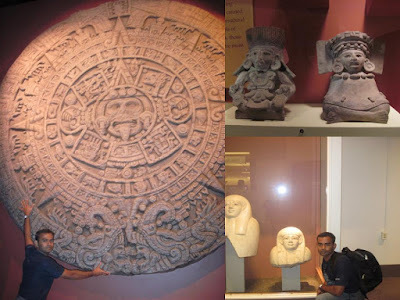 If you are interested in Evolution of Nature, learning the history of different cultures…. 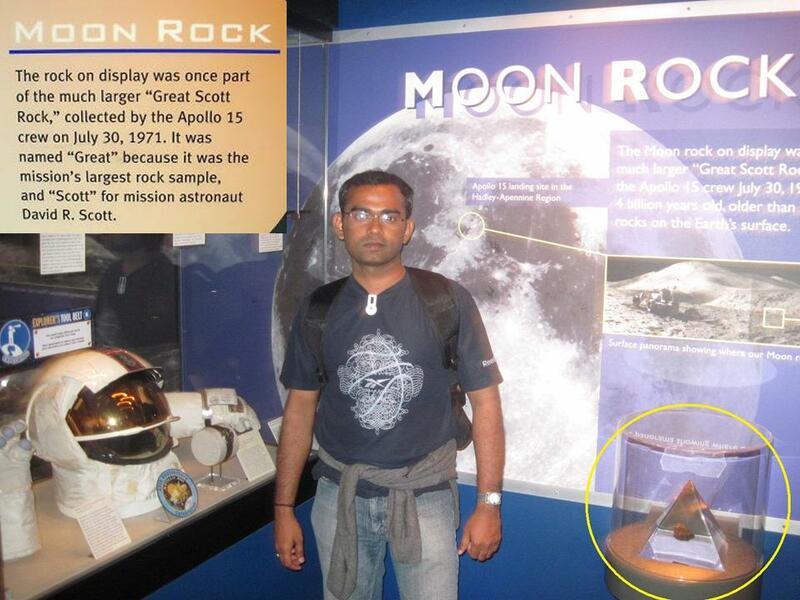 even 2 full days won’t be sufficient to cover-up the museum. 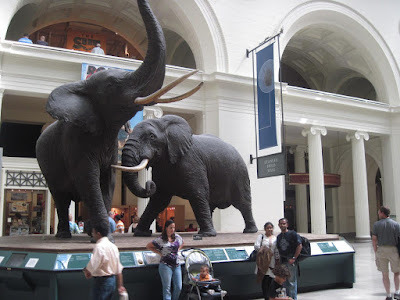 All of the animals look incredibly lifelike (Then I did some google and found that they use taxidermy which makes the animal exhibits more effective and informative). 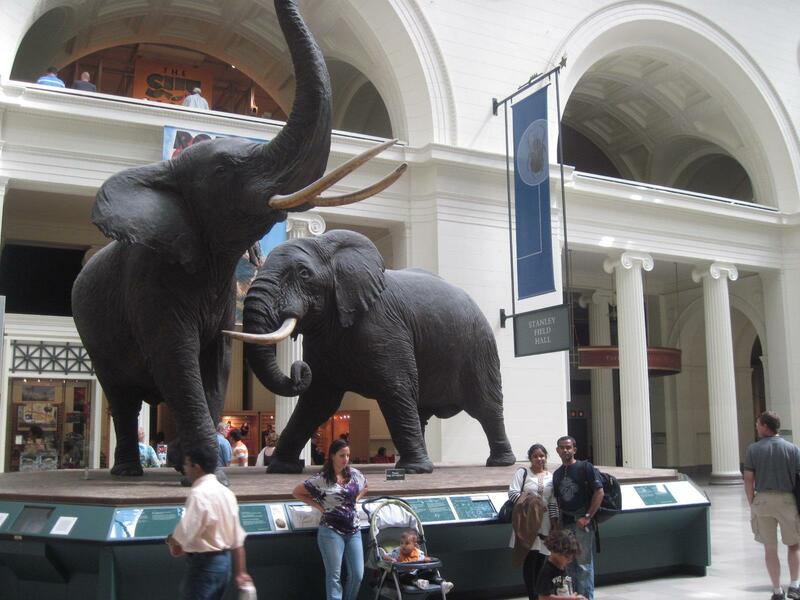 I feel, the new Mammoths and Mastodons are incredible examples of this. “Underground Adventure” : - a virtual tour into the underground’s soil, insects, plants, …. But, it was not that great for us, but maybe for younger kids. The Ancient Egypt exhibits are quite interesting. We walked through corridors made from the actual original walls of an Egyptian tomb. There are probably about a dozen real mummies, and countless artifacts and documents. 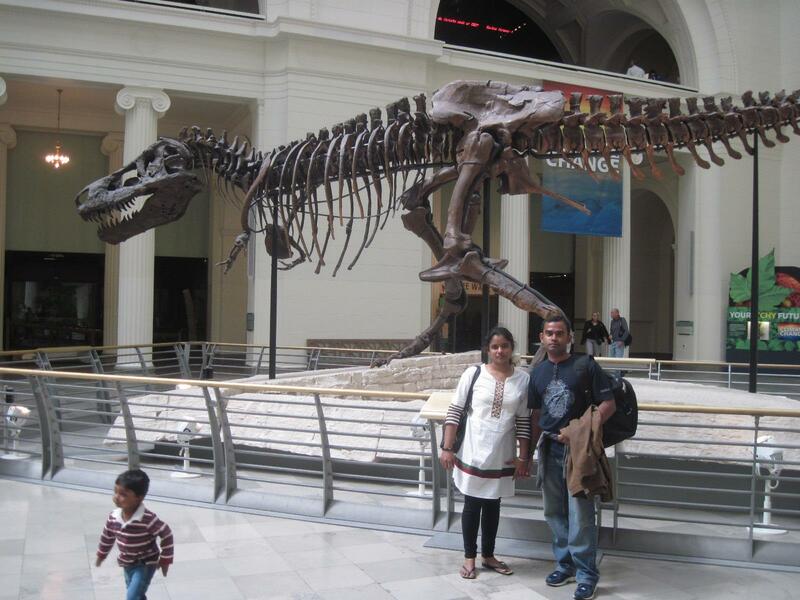 Overall, the experience of witnessing the natural history was incredible. 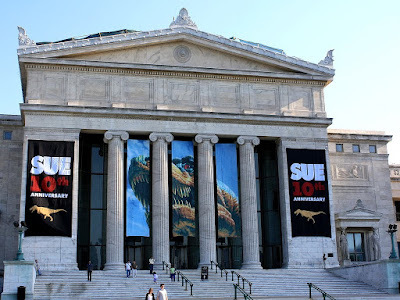 I would say, the Field Museum is one of the great treasures of Chicago. Sep-6 was Labor Day here. Wow… One more long weekend in the US!!!. This time we decided to GO .. CHICAGO. 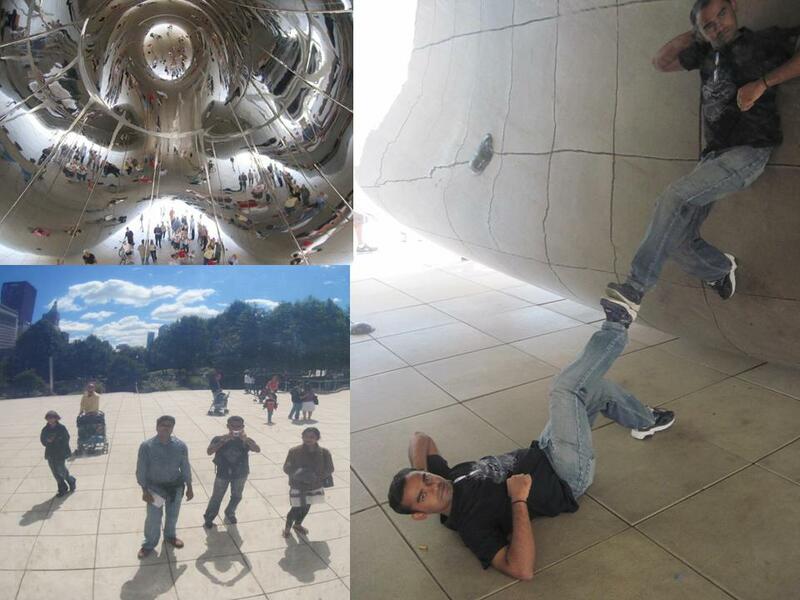 We pledged to spend the whole three days at Chicago and enjoy each and every part of it. 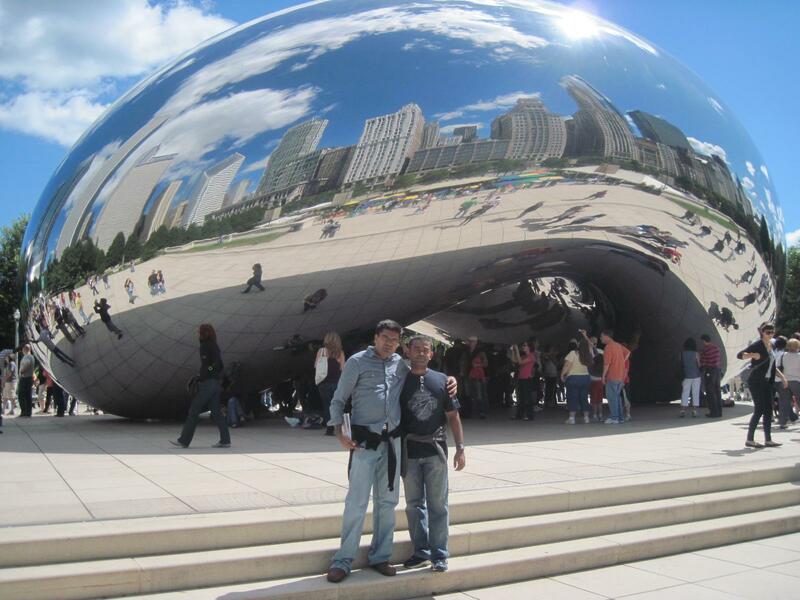 Our first destination was the Millennium Park. 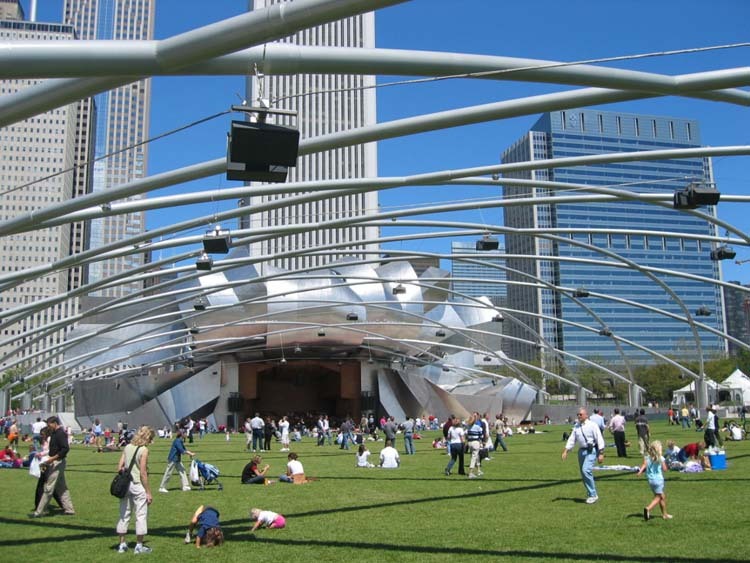 Millennium Park is located in the heart of downtown Chicago. It is an award-winning center for art, music, architecture and landscape design. The whole park is filled with art and architecture miracles. "Cloud Gate" sculpture (by British artist - Anish Kapoor) near entry to park: Chicagoans affectionately call the sculpture as "the Bean". The bean reflects our image and we could see ourselves in the middle of all amazing buildings of Chicago. 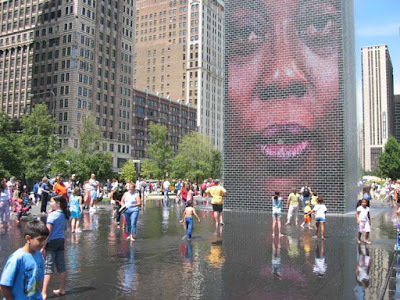 The Crown Fountain :It's a public fountain in the Park.The fountain has two 50-foot glass block towers with video of human faces, at each end of a shallow reflecting pool.They are definitely a great hit with the kids. 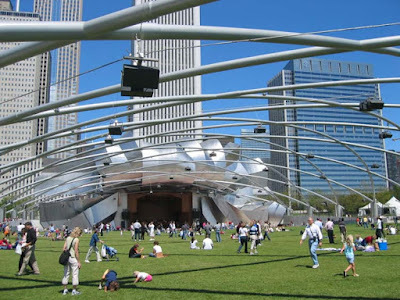 There is a large ultra clean lawn for Music concerts, picnicking,and relaxing.All in all, a great green space that is created in between a great view of the city and great view of the lake. 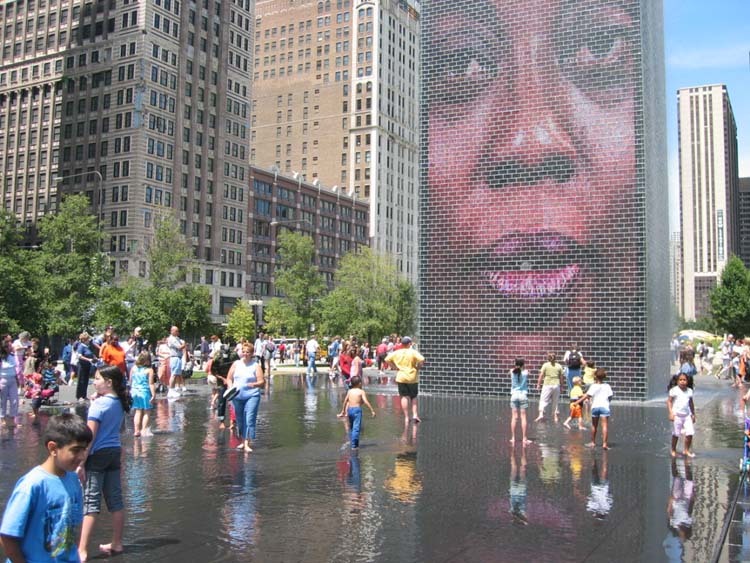 This is something not to be missed in Chicago.